Maintaining a home that is free from pest can be hard to do. This is especially considering that most pest control practices end up disrupting the natural environment, wildlife, pets and people. Fortunately, there are innovative, environmentally friendly and scientifically proven residential pest control services you can fully trust in to take care of your pest problem. At TORO Pest Management we want to provide you with the best residential pest control by using innovative, scientifically proven, and environmentally friendly service. Through Integrated Pest Management (IPM) practices, we maintain your home with a pest free environment, with no disruption to the natural environment, people, pets, or wildlife. TORO Pest Management Residential Pest Protection Program makes a difference. TORO is able to offer the most complete and affordable residential pest control plans available. You chose the level of protection that you want. We can provide One-Time, Every Other Month, or Annual Protection Plans. 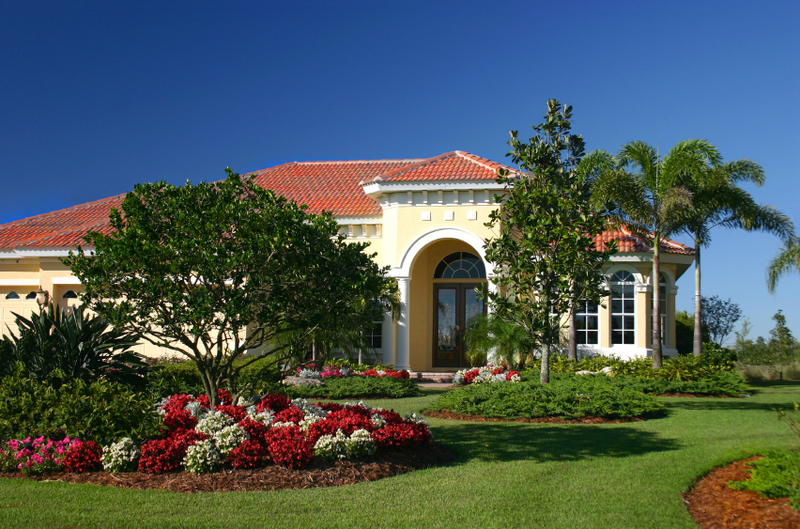 We can protect your home with preventative service to help reduce bugs and their harborage areas. You never know when you might be faced with a need to have the pest control or management services. TORO is always prompt in offering you the services you need. It should also offer convenient scheduling so you can enjoy the services when you need them the most and when it’s most convenient for you. TORO Pest Management has been an industry leader since 1969. Our pest control methods are so effective that our service is backed by the most comprehensive guarantee in the business. If the pest come back so do we for free! We have one goal: To provide you with the very best Pest Control service in the state. We aim to deliver an experience so awesome that you can’t wait to tell your friends and family about us. That’s why we are proud to offer our total satisfaction guarantee. One of the ways you can tell that you are bound to get along with your pest control company is the staff. Courteous, friendly and clean staff as well as qualified knowledgeable technicians should be easy to work with and give you confidence in the services you are getting. Regardless of how new or clean your home is today, there are armies of bugs just waiting for a chance to get inside. Contact TORO Pest Management and we will be happy to provide you with a complete inspection and offer recommendations on how to keep your home pest-free. Miami-Dade County: Aventura, Bal Harbour Village, Bay Harbor Islands, Biscayne Park , Coral Gables, Cutler Bay, Doral, El Portal, Florida City, Golden Beach, Hialeah, Hialeah Gardens, Homestead, Indian Creek Village, Islandia, Key Biscayne Village, Medley, Miami City, Miami Beach, Miami Gardens, Miami Shores Village, Miami Springs, North Bay Village, North Miami, North Miami Beach, Opa-Locka, Palmetto Bay Village, Pinecrest , South Miami, Sunny Isles Beach, Surfside, Sweetwater, Virginia Gardens and West Miami. Broward County: Coconut Creek, Cooper City, Coral Springs, Dania Beach, Davie, Deerfield Beach, Fort Lauderdale, Hallandale Beach, Hillsboro Beach, Hollywood Florida, Lauderhill, Lauderdale Lakes, Lauderdale by the Sea, Lazy Lake, Lighthouse Point, Margate, Miramar, North Lauderdale, Oakland Park, Parkland, Pembroke Pines, Plantation, Pompano Beach, Sea Ranch Lakes, Southwest Ranches, Sunrise, Tamarac, West Park, Weston and Wilton Manors . Palm Beach County: West Palm Beach , Boca Raton , Boynton Beach , Delray Beach , Greenacres , Jupiter , Lake Worth , Palm Beach Gardens , Royal Palm Beach and Wellington . Monroe County: Key Largo , Islamorada , Marathon and Key West. Ants: Acrobat Ant, Allegheny Mound Ant, Argentine Ant, Big-headed Ant, Carpenter Ant, Citronella Ant, Crazy Ant, Field Ant, Fire Ant, Ghost Ant, Harvester Ant, Little Black Ant, Moisture Ant, Odorous House Ant, Pavement Ant, Pharaoh Ant, Texas Leaf Cutter Ant, Thief Ant, Velvety Tree Ant and White-footed Ant. Mosquitoes: Asian Tiger Mosquito, Aedes-Aegypti Mosquito and Culex Mosquito. Cockroaches: American Cockroach, Asian Cockroach, Australian Cockroach, Brown Banded Cockroach, Cuban Cockroach, Florida Woods Cockroach, German Cockroach, Oriental Cockroach, Smoky Brown Cockroach, Surinam Cockroach and Woods Cockroach. Flies: Blow Fly and Bottle Fly, Cluster Fly, Crane Fly, Face Fly, Flesh Fly, Fruit Fly, Fungus Gnat, House Fly, Drain Fly and Phorid Fly. Rodents: Deer Mouse, House Mouse, Norway Rat, Pack Rat, Roof Rat, Vole and White-footed Mouse. Spiders: Black Widow Spider , Brown Recluse Spider, Cellar Spider, Crab Spider, Domestic House Spider, Funnelweb Spider, Garden Spider, Ground Spider, Hobo Spider, House Spider, Jumping Spider, Spiny-backed Orb Weaver Spider, Tarantula, Wolf Spider and Yellow Sac Spider. Stinging Pests: Africanized Honeybee, American Dog Tick, Bald-faced Hornet, Bed Bugs, Bird Lice, Bird Mite, Deer Tick, Brown Dog Tick, Bumblebee, Carpenter Bee, Cat Flea, European Hornet, Fire Ant, Honeybee, Human Head Lice, Kissing Bug, Lone Star Tick, Paper Wasp, Scorpion, Soft Tick, Thrips and Yellow Jacket. Termites: Dampwood Termite, Drywood Termite, Formosan Subterranean Termite and Subterranean Termite. Ticks and Mites: American Dog Tick, Bird Mite, Black-legged Tick, Brown Dog Tick, Clover Mite, Lone Star Tick and Soft Tick. Other Pests: American Spider Beetle, Bean Weevil, Cigarette Beetle, Cowpea Weevil, Dried Fruit Beetle, Drugstore Beetle, Foreign Grain Beetles, Indian Meal Moth, Larder Beetle, Mediterranean Flour Moth, Red or Confused Flour Beetle, Rice & Granary Weevils, Sawtoothed & Merchant, Grain Beetles, Shiny Spider Beetle, Cabinet Beetles, Centipedes & Millipedes, Chinch Bugs and Earwigs.